A good mannequin makes an exhibit look professional. Unfortunately, most museum staff do not know how to make a costume look good on a mannequin. The result is that costumes look flat, provide incorrect information or are being damaged. Buying an expensive "museum quality mannequin" is not the solution - garments rarely fit without alterations to the mannequin. Learn how to measure garments and transfer that information to construct a new form or alter an old form so that it accurately fits the garment, creating an accurate and safe display. Learn about the materials that will and won't damage the textile. Making Museum Quality Mannequins provides an overview of all of the materials used to construct mannequins in today's museums. Learn inexpensive mannequin solutions and how different materials may use the same additive or subtractive construction technique. 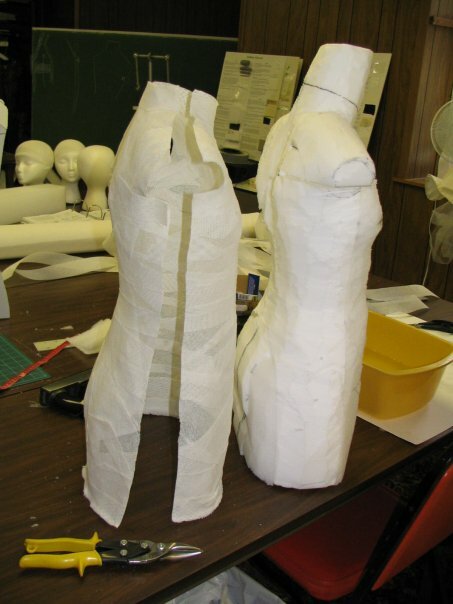 Fabrication methods for many mannequin styles are described. Finishing touches - casting and molding, hair, arms, legs, stands and base, undergarments - are discussed with examples of how they change the presentation of a garment.